Why is it important to call the police after an accident? If you don’t report your car accident, you risk your insurance company denying coverage, and you risk not being able to file a claim for damages against another at-fault party without a police report. You have to report your car accident to both your insurance company and the police if you want to protect your rights to recover compensation. Do I need to call the police for a minor car accident? You have a legal obligation to report accidents to your insurer under the terms and conditions of your car insurance policy. If you do not report your accident to your insurer, they may deny coverage for your accident. As for reporting your car accident to the police, accidents involving an injury, death, a hit-and-run, an intoxicated driver, or property damage more than $500 must be reported immediately to law enforcement. If you don’t call the police and have them fill out a report documenting the accident and gathering facts, then it’s your word against the other driver’s word. 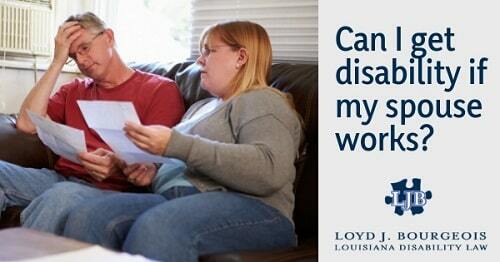 This makes your claim difficult and can cause significant problems in any case. Airbags, used in conjunction with seat belts, have become essential safety tools for motorists. Front driver and passenger airbags have been required equipment in U.S. manufactured cars since 1998. Today, there are vehicles which feature more than ten different airbags – some, with airbags right in the seat belt itself. The NHTSA estimated that in 2012 alone over 2,200 lives were saved because of airbags. Airbags are lightweight, fabric structures designed to protect a driver or passenger by inflating before a person contacts something hard inside the vehicle – such as the steering wheel, dashboard, windshield, door panel, etc. When a vehicle is in a collision, a signal is sent from the airbag’s electronic control unit to its inflator. The inflator then triggers a chemical reaction, producing a gas which inflates the airbag. On average, it takes only about 20 to 30 milliseconds for a driver’s side airbag to inflate. The gas used to inflate the airbag is like rocket booster fuel. What to Do If Your Vehicle’s Airbag Deploys? If your airbag deploys during a collision, chances are the impact was sufficient to cause a disabling personal injury. The first thing you should do is call 9-1-1 and stabilize any serious problems. If necessary, seek medical attention. In some vehicles, when the airbag inflates, the engine automatically shuts off. This is to prevent any fires from possible fuel leaks. If your vehicle does not automatically kill, turn off the engine. If the airbags have deployed, the car should NOT be driven. You need to obtain an alternative way home or to medical care. Do NOT drive the vehicle again until your car is inspected by a mechanic. Your vehicle should be inspected to determine the extent of the damage. You should take pictures of the vehicle’s damage in case it is needed later. I also recommend writing down as much as you remember about the circumstances of the accident as soon as possible after the collision. This helps you not forget important aspects of the situation. You should also follow your doctor’s advice and recommendations regarding treatment for any injuries that you received. 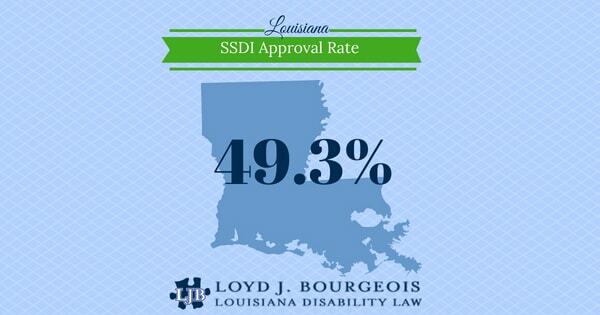 If you or someone you love was in an accident in Louisiana and suffered a disabling personal injury that required hospitalization and missed work, give us a call at 985-240-9773. We have the experience to guide you through this difficult process and advise you on both the injury aspects of your claim and the disability aspects of your claim. 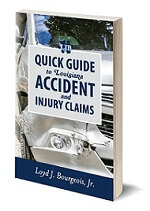 Loyd's Legal Insights: Why does pain sometimes start a few days following a car wreck? Recently, I had the pleasure of sitting down with Dr. Mitchell Brien, chiropractor, at his office on Highway 90 in Luling, Louisiana. We are getting some insight from his perspective on some the frequently encountered issues he sees with his personal injury patients. I hope you join us and learn more about the chiropractic process in personal injury claims. Why does pain sometimes start a few days following a car wreck? One of the major factors that cause this effect is the body releases what we call endorphins. Endorphins are the body's natural painkillers. When the body releases them you are not feeling much of anything. You are trying to function throughout -- your brain is trying to function, your body is trying to function, and you really just don't feel pain. This natural painkiller is working. A lot of times it takes hours or days for those endorphins to calm down. One thing I can kind of relate that to is when people exercise - they'll go exercise and they won't be sore until two or three days later. It is the same thing after an accident. So, I utilize that example with my patients in trying to compare those two together to help them understand why they are not in pain right away. 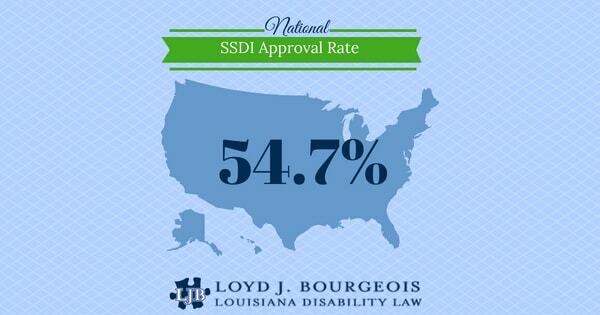 So there you have it - some simple truth from a proven medical leader right here in St. Charles Parish. Remember if you are hurt in a car crash here in St. Charles Parish, or if you are looking for a local St. Charles Parish attorney to represent you in your injury claim give me a call 985-240-9773. Injury consultations are free and we will take care of you from right here in our Luling, Louisiana office on the River Road. 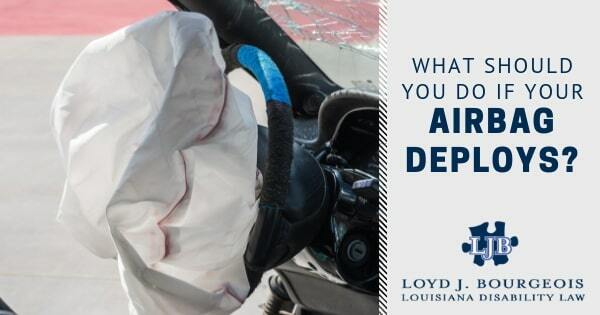 Loyd's Legal Insights: Is it possible for an injury to initially go undiagnosed after a wreck? Is it possible for my injury to go undiagnosed immediately after a car wreck? We are going to take them through a series of examinations to get our examination findings, but it is not uncommon for some injuries not to show up initially. You know, sometimes even a fracture initially will not show up a lot of times. So what you will see a lot of times where the patient has to go back in to get an x-ray in an area. This also happens with soft tissue injuries. They will take some time to show up. In each case, there are certain red flags we look for and there are certain things that show up right away. But, there are certain things that don't. In a general soft tissue, sprain/strain type case, a lot of times you won't see radicular or radiating symptoms down the arms or legs. So, you treat those symptoms as soft tissue sprains/strains. Then, as the weeks go by, sometimes those symptoms will start to show up. The patient will come in and say “I'm starting to really feel some numbness or tingling in my arms or legs.” We will then start evaluating and finding out - is there an underlying cause of this. That's when we will send them out for an MRI (which is a radiograph) and it shows the soft tissue. With the MRI, you will find those disc herniation disc problems. Then, you have to kind of change your course care there. Loyd's Legal Insights: What is the relationship between pain and inflammation? Recently, I had the pleasure of sitting down with Dr. Mitchell Brien, chiropractor, at his office on Highway 90 in Luling, Louisiana. We are getting some insight from his perspective on some of the frequently encountered issues he sees with his personal injury patients. I hope you join us and learn more about the chiropractic process in personal injury claims. 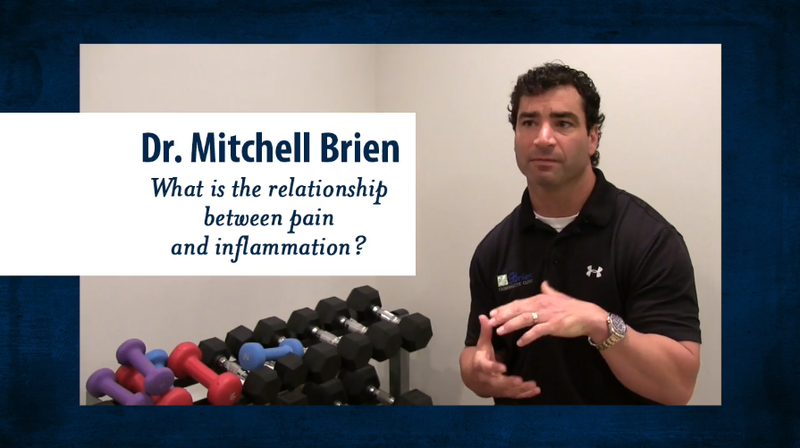 What is the relationship between pain and inflammation? As we age we are all going to have that degenerative effect in our in our soft tissues-- the discs and whatnot that start to dehydrate. This is not a pain-producing event a lot of times. You know there are a lot of people walking around with degenerative disc but don't have pain and never realize it. They never get treated for it because they never have pain. Then you introduce a trauma into that area and what happens is the inflammatory response occurs. That is when the pain comes on - the inflammation creates pain, not the degeneration. So when these tissues are disrupted or are brought into a hyperflexion/hyperextension zone, there are what we call micro-tears, or little tears in those soft tissues. This causes an inflammatory response where there is swelling and redness. Fluid develops in those in those soft tissues. This creates the pain. Loyd's Legal Insights: Should I go to the emergency room after a car accident? Should I go to the emergency room after a wreck? Every case is different. If someone has severe abrasions or something, they're going to go to the ER. For those who are not really feeling a lot of pain, in my opinion, it's always a good idea to go ahead and get it evaluated by someone who specializes in those types of injuries because some of those things don't show up for days or even a week sometimes. Some people's pain tolerance is much different so you want to make sure you get it evaluated and get those injuries at least looked at initially. There may not be any injury in there. You know some accidents don't have an injury, but it's a good idea to get a professional to look at that. Who is at fault in a rear end collision in Louisiana? While the question of who is at fault when you are rearended appears to be a very simple, straightforward question, it often is not. Let’s address the simple answer first: If you are hit from behind while driving down the road, it is usually the other driver who is at fault. But the real issue here is who was negligent in their driving. Negligence is the basis for most car accident claims, and the negligent person is responsible to compensate for any damage or injury caused by their failure to drive responsibly. Rear end accidents are almost always due to the rear driver tailgating, driving too fast, or driving while distracted – all cases of negligence. However, in a few circumstances, the front driver may be at fault. 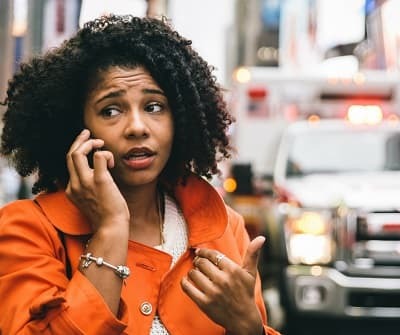 If you were involved in a rear-end accident in Louisiana, and there is a question as to who was at fault, you may need to consult with an attorney. Give us a call at 985-240-9773 for a free analysis of your case.